Leslie McDevitt, MLA, CDBC, CPDT is a Certified Dog Behavior Consultant through the International Association of Animal Behavior Consultants and a Certified Professional Dog Trainer through the Certification Council for Professional Dog Trainers. 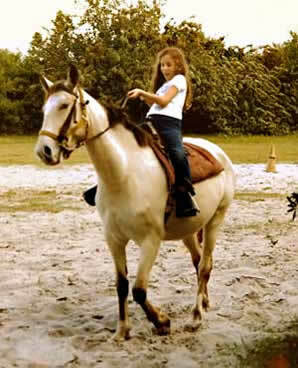 A cowgirl at heart, Leslie grew up in Houston and then defected to the East Coast. Leslie holds a BA from the Humanities Honors Program at the University of Texas at Austin, where she studied English, Cultural Anthropology and Folklore. She holds a Master of Liberal Arts degree from the University of Pennsylvania, where she studied English, Creative Writing and Folklore. Before becoming a behavior consultant, Leslie worked with children as a museum educator, an environmental educator, and a humane educator. 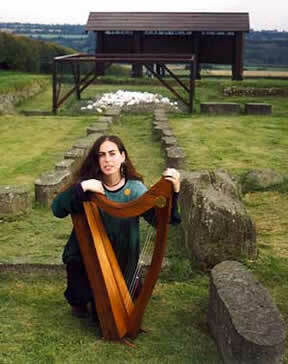 She also played Celtic harp professionally. Working with at-risk kids in a variety of educational settings, as well as playing music in a couple of Irish folk bands, further refined Leslie's natural instincts for the timing, rhythm and connection it takes to make a good team--instincts that have served her well in her work with dogs. In 1998, Leslie rescued Gordie, an American Pit Bull Terrier/German Shepherd Dog cross who had been badly abused, and, in trying desperately to help him through his crushing anxieties and fears, met her inspiration and mentor, world-renowned veterinary behaviorist Dr. Karen Overall. Through Gordie, Leslie found her calling, and devoted herself completely to becoming a dog trainer and later, a behavior consultant. Leslie was volunteering at urban shelters and studying behavior and clicker training when she caught the dog sports bug and started agility and flyball training with her terrier mix Maggie. Her work with anxious, reactive, impulsive and aggressive dogs gave her a unique perspective when she became a student of dog sports training. Leslie served in many capacities, including President and Obedience Training Director, at Y2K9s Dog Sports Club in Wyndmoor, Pennsylvania. Leslie's background in behavior modification and her experience working with dog sport clients led her to create her popular course for performance dogs 'with issues', Control Unleashed®®. 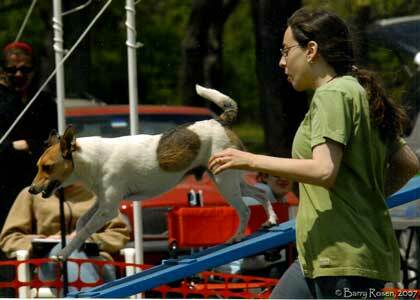 Leslie started writing articles based on themes from the course for Clean Run Agility Magazine, then took things a step farther and wrote her award-winning, best seller, "Control Unleashed®®: Creating a Focused and Confident Dog" which was published by Clean Run Productions in 2007. Leslie has worked with diverse populations of dogs, from pets to performance dogs to police dogs, and is known as a versatile, compassionate and intuitive trainer. Leslie continues her commitment to rescue by evaluating dogs for Glen Highland Farm's Border Collie Rescue program and by serving as the Training Advisor for the Animal Welfare Project. She lives outside of Philadelphia, in a quiet town near a beautiful state park, with four dogs, two cats, and one very supportive husband.